The life of an abused or neglected child is not one to envy. It is one that needs care and nourishment. These children need stability, supervision, and support. Gratefully, the good people of Pennsylvania recognize the necessity to care for children who cannot be cared for by his or her own parents. Foster care rates for children in Pennsylvania have drastically dropped in the past decade, yet children still remain. According to the Children’s Bureau – an office of the U.S. Department of Health and Human Services, nearly 22,000 children were in foster care in PA in 2004. The data most recently collected takes us to September of 2013 when the state recognized only 14,252 children in foster care. That’s 8,000 kids that have been cared for and supported by foster families and organizations. One of the largest contributors to the success of the foster care programs here in PA is the Pennsylvania “Title IV-E,” a review of the State’s “Title IV-A” Act to determine the appropriate use and eligibility of funds to support foster care. “Title IV-A” was created in 1996 but was only able to support foster care cases that were sent “to the system.” “Title IV-E” was conducted in 2004 to analyze system eligibility in order to “validate the basis of Pennsylvania’s financial claims to assure that appropriate payments were made on behalf of eligible children and to eligible homes and institutions. Nearly 100 cases were reviewed through the computer system to ensure eligibility. Pennsylvania passed the review with flying colors. Contributing success factors included proper licensing and that the child’s case received a maintenance payment from “Title IV-A.” Only one case was determined to have an error. The determiner was a 10% error rate, and since there was only one case containing an error, Pennsylvania passed to receive additional funds and support from the Act revision. Extra monetary funds can go a long way when it comes to foster care support. Our organization is able to offer support to more children in need of a better life as well as support the foster care families that directly help these children. Not only do organizations such as FCCY receive monetary support from this act, we received an important distinction in the language of the original “Title IV-A” Act. Instead of singularly supporting child care institutions, funds can now be distributed to families, homes, and institutions that care for abused or neglected children. This is truly wonderful! 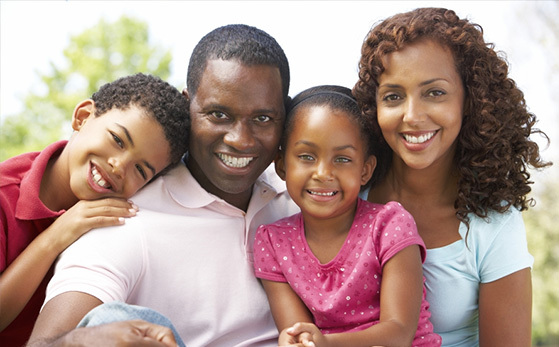 Foster Care for Children and Youth supports the family home. We make it our life goal to ensure all children that come through our doors receive a home life as opposed to the age old orphanage that housed the likes of Oliver Twist and Annie. Children are much more apt to be successful when raised in a supportive home. We could make an orphanage that supports children, like foster parents can support a foster child; however, it is the emotional support and one-on-one connection that abused and neglected children truly need to thrive. As we said above, we believe that all foster care children deserve a proper upbringing with support, stability, and supervision. It is through the efforts of caring families and a supportive governmental structure that bring success to foster children. We look forward to the continued support to continue to decrease the number of children in foster care in PA.